Whether you're planning a romantic evening for two or looking for a fun recipe to make with the kids, you will find it in this FREE eCookbook. 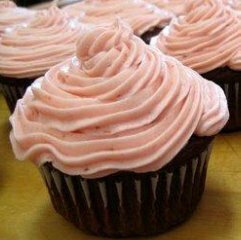 Make one or make several, and your Valentines Day is sure to have a sweet ending. Looking for something special to make your sweetie this February 14th? Look no further than this collection of 9 Romantic Desserts for Valentine's Day. 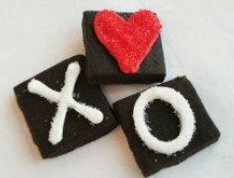 With these sweet treats you can woo your love and show them how much you care. They say that the way to a man's heart is through his stomach, so get to baking and win him over with these decadent and delicious Valentine's Day desserts! 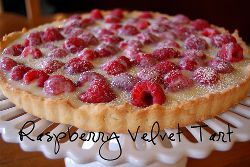 Raspberry Velvet Tart (shown above) - For a fruit-filled easy dessert recipe that screams "Valentine's Day," try this picture perfect raspberry tart. Flourless Chocolate Cake - The name says it all for this one. 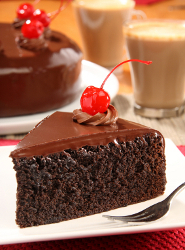 One of the most classic desserts for Valentine's Day, flourless chocolate cake is a special occasion kind of treat. Chocolate Angel Cakes (shown above) - If you want to make a Valentine's Day dessert that looks as good as it tastes, these heavenly angel cakes certainly fit the bill. 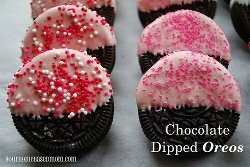 Chocolate Dipped Oreos (shown above) - Make a fun, flirty and incredibly delicious Valentine's Day treat with this simple recipe. With festive pink and red candy sprinkles, it's hard not to fall in love with this Valentine's Day dessert. 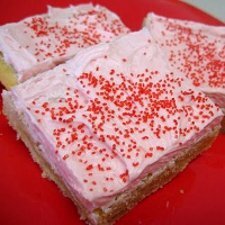 Sugar Cookie Bars (shown above) - Who doesn't love a delicious frosted sugar cookie? These cute and festive Valentine's Day cookies are sure to put a smile on your honey's face. 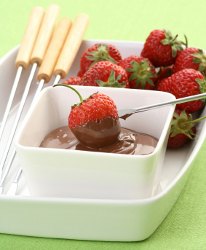 Dessert Chocolate Fondue (shown above) (special feature) - Fondue is one of the most romantic Valentine's Day desserts you can serve. Heat things up with your significant other by making this chocolaty treat in your slow cooker! 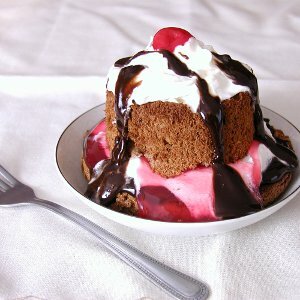 Chocolate Covered Strawberry Dump Cake (special feature) - A box of cake mix and a slow cooker are all you need to make this luscious treat, one of our favorite recipes for Valentine's Day ever. Chocolate Cherry Cola Cake (special feature) (shown above) - Cherries and chocolate are the perfect pairing, just like you and your boo. The best Valentine's Day desserts are the ones that are easy to make and tasty to eat, just like this one, so why don't you give this recipe a whirl? 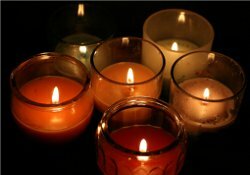 How to Make Candles in the Slow Cooker (special feature) (shown above) - Set the mood for your romantic meal by making some homemade candles... in your slow cooker! 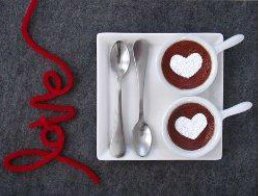 With this easy tutorial you can create the perfect romantic atmosphere in which to enjoy your decadent and delicious Valentine's Day desserts. 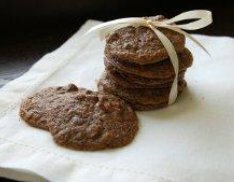 Find these recipes and more romantic Valentine's Day ideas in our free eCookbook: 20 Valentine's Day Recipes. Find easy dinner recipes to make for your sweetie, plus even more drool-worthy desserts in this printable recipe collection.